Please sign here. Careful now, make it legible! Of all the wedding-day decisions that have come so easily, one pesky little element has me at a complete and utter loss. Guestbook, I’m lookin’ at you. Who woulda thunk a guestbook could leave me so stumped? I mean, it should be simple, right? We just slap one of these bad boys on a table, and we’re done. Right? Wrong. See, the thing is, I’m not super fond of the idea of a book people feel obligated to put their John Hancocks in that we’ll rarely ever open up and read. 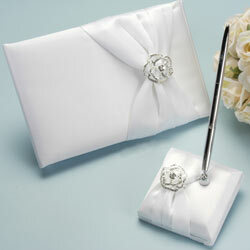 Which is why I was way excited when I begin reading about all the guestbook alternatives brides are now turning to. 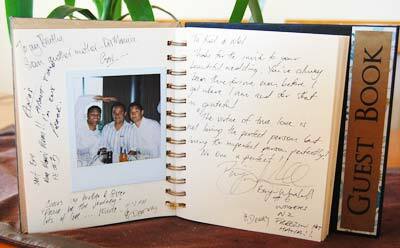 Like this scrapbook-style guestbook, where guests can take a Polaroid photo of themselves and jot down some thoughts. I’ve also been seeing tons of Etsy guestbooks like this one, where guests put their thumb print on a canvas. For me, this is lacking in the text department, however. I want some words involved somehow! I am a writer, after all. I loves words! Or, we could go with something a little unconventional. 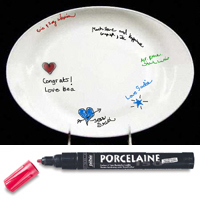 Like guests signing a large platter or the matte used in a photograph. For me, these last two come closest to hitting the mark. I am heavily leaning toward the photo matte idea. I love the idea of having a picture of us hanging in our home, surrounded by the signatures of those we love. Since I would hate for people to be super limited by what they could write (since something like this really does only leave room for a signature), I was thinking we could put out a journal or other writer-friendly book at the reception for people to write more long-winded musings in. This entry was posted in Uncategorized and tagged guestbook, wedding. Bookmark the permalink. My wife and I have two photo matte wedding guestbooks. We had a destination wedding, so we have one for family and close friends who attended the ceremony and one for our at-home reception. Both are hanging up in our living room. I hope you enjoy whatever you decide upon. Oooh, thanks for the feedback! 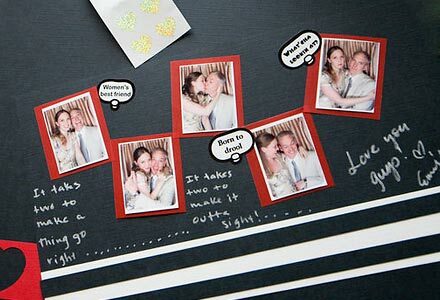 Good to know someone is putting their photo matte guestbooks to use! 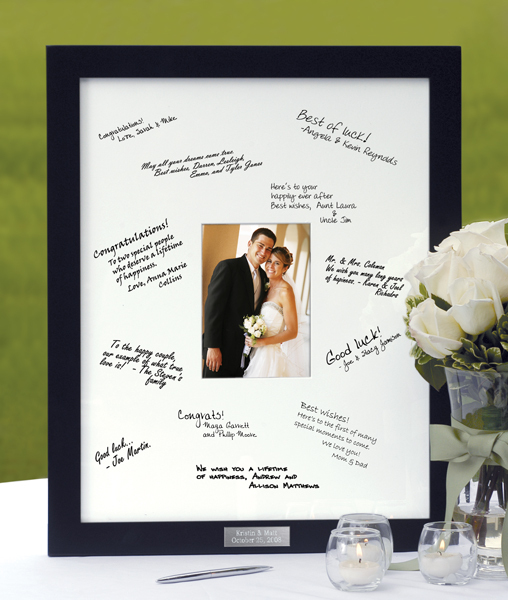 If you have a scrapbook guestbook, not only will you have a signature from your guests, but a piece of advice or a funny story or precious memory that they want you to always remember. PLUS, you’ll have a picture of every guest even if your photographer misses someone!